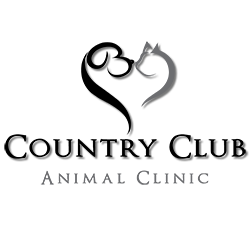 We provide small animal veterinary services and are located in South Grande Prairie, Country Club Estates. Services include: heath exams and preventative care, nutritional counciling, vaccinations, surgery, dentistry, digital radiographs, in house laboratory, 24 hour emergency after hours care. Our Goal is to provide you with the best care possible for your pets. Driving Directions: Turn East from hiway 40 or West from Resources Road onto 68 ave. We are located in the Country Club Plaza on 68th ave & Poplar Drive, just down from the Tim Horton’s and right behind Dairy Queen. I would recommend this clinic to anyone needing a vet that will truly care about your furry family member. My kitty got into something and there was something very wrong with her. I phoned Country Club and even though they were about to close they said to come right in. They took amazing care of my kitten and did everything possible for her. Awesome customer service and high standard of care for the fur babies. I am very impressed with the new building now it matches the high level of care they have always given. Amazing service, everyone is so friendly and try their best to serve you as fast as possible. Thanks to them and their amazing staff, my cat Jon Snow is feeling so much better already and without the pain from his arthritis, he’s back to running around and playing like crazy! So much happier, thank you! Make an appointment to bring in your animal.